“Who do you say that I am?” (Mt 16:15) Our Lord asks this question of all His disciples. The “you” here is plural: “Who do you all say that I am?” Yet, even though He asks the question of all, only one man speaks. 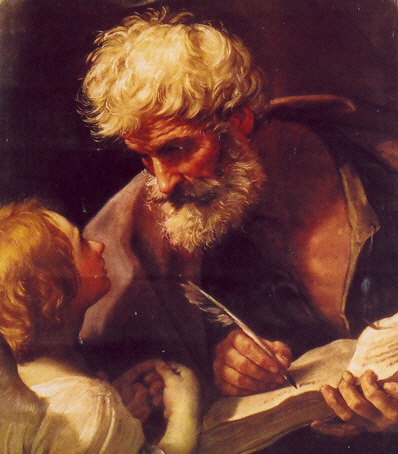 Only St. Peter confesses the faith: “You are the Messiah, the Son of the living God” (Mt 16:16). Of course, the others do not become unimportant. Peter speaks on their behalf. One man speaks for all. Or, put it another way, the whole Church speaks through the one man. In short, Peter’s response has both a personal and an ecclesial dimension. It is personal because he himself speaks. No one speaks in his place. It is ecclesial because he speaks for the entire Church, the “ecclesia.” Clearly the union of the personal and ecclesial finds particular expression in St. Peter, and all popes after him. The pope, after all, is the one person who speaks authoritatively for the whole Church. Nonetheless, what we find in Peter in a unique manner we also ought to possess. Our faith must be both personal and ecclesial – both our own possession, and the Church’s. At the same time, however, our faith must be ecclesial – that is, from and within the Church. After all, we receive the grace and truth of Jesus Christ from His church. We know Him in whom we believe not because we have done the research ourselves (clever people that we are). Rather, we possess the truth about Christ because His Church has preserved that truth, guarded it from error and presented it to us for our salvation. To believe in Christ means to believe what His Church teaches. An authentically Catholic faith must have both the personal and ecclesial dimension. One without the other distorts the Faith. If we attempt to have a personal faith in Christ without the sure doctrine of the Church, then we will soon have a Christ according to our own liking (and inevitably in our own likeness). The Church’s teaching guarantees that the Christ to whom we give ourselves, is the true, authentic Christ, not a product of sentiment, fashion or politics. Indeed, Church doctrine provides the secure ground for generous abandonment in faith. If, on the other hand, we attempt to have an ecclesial faith without personally giving ourselves to Christ, then we find ourselves possessing not faith at all but an agenda or ideology. Church doctrine without a personal act of faith becomes just a jumble of sterile theological statements that fall coldly on the human heart. Those who do give themselves personally bring doctrine to life – or, rather, reveal its life-giving power. They make Church teaching not just a list of statements but a living, breathing reality. “You are the Messiah, the Son of the living God.” In St. Peter’s confession we find the personal and ecclesial faith beautifully expressed. May the Prince of the Apostles intercede for us, so that the Church’s faith will abide in each of us – and all of us together will abide faithfully in Christ’s Church.